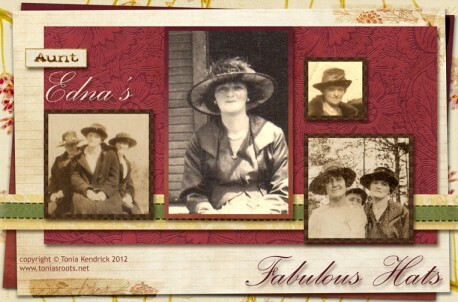 I have a lot of older pictures of my great-aunt Edna (Hemphill) Pendley and she is almost always wearing a fabulous hat. May I “Share” this on Facebook (credit to you of course)? I just ran across your website by a post from my aunt Rose Marie Westmoreland. Edna Hemphill is my grandmother. I am her oldest daughter’s, Mary, daughter. I am named after my grandmother–my middle name is Rose. I love these pictures! Is there any chance I might be able to get copies of some of the others you mentioned in your post? I guess we are then second or third cousins! I can’t wait to study all your research more closely.